Qualifications: BSc Physiotherapy, Certificate in Orthopedic Manual Therapy (Australia), MSc Sports Physiotherapy, Diploma in Musculoskeletal Medicine (SOMM, UK), Injection Therapy, PG certificate Sonography (undergoing). Hozefa Dahodwala has been a qualified physiotherapist for over a decade now and had worked in the NHS and private sectors. He has worked with professional sports working for BCCI (Board for Cricket Control in India), National Cricket Academy (NCA) and Baroda Cricket Team (Ranji Trophy). Hozefa Dahodwala had treated prominent cricketers like Irfan Pathan, Sachin Tendulkar to name a few. Hozefa’s interest in Musculoskeletal and Sports science led him to undertake MSc in Sports Physiotherapy from the renowned Cardiff University. 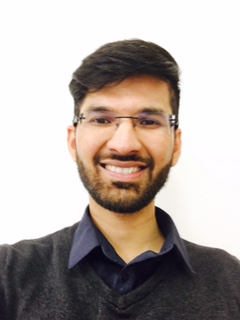 He currently works as an Extended Scope Practitioner/Advanced Practitioner Physiotherapist at Herts Valley integrated MSK service and is very enthusiastic to drive physiotherapy profession forward. Hozefa Dahodwala has keen interest in evidence-based practice, education and improving patients’ quality of care using shared decision-making tool. He is currently pursuing sonography qualification and strongly believes that point of contact ultrasound has great potential in improve patient’s care. Outside work he enjoys watching football, travelling, loves his food and truly enjoys spending time with his daughter.